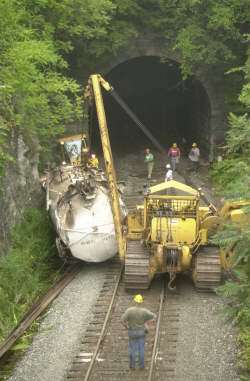 NORTH ADAMS -- Crews have been working around the clock to clean up the 10-car train derailment on the Guilford Transportation railroad system that occurred Sunday night. The train was traveling west when it derailed about 8:30 p.m. The cause is still under investigation by the railroad police, but workmen have gotten eight of the 10 cars back on track after working for almost 38 hours. David Fink, public relations director for Guilford, said the crews hope to have the other two cars back on track by noon. At that time, the crews can start rebuilding the track, once they remove the damaged track. The condition of the track beforehand is assumed to be in good shape, according to Fink, since the company had replaced the railroad ties all along the track last year. 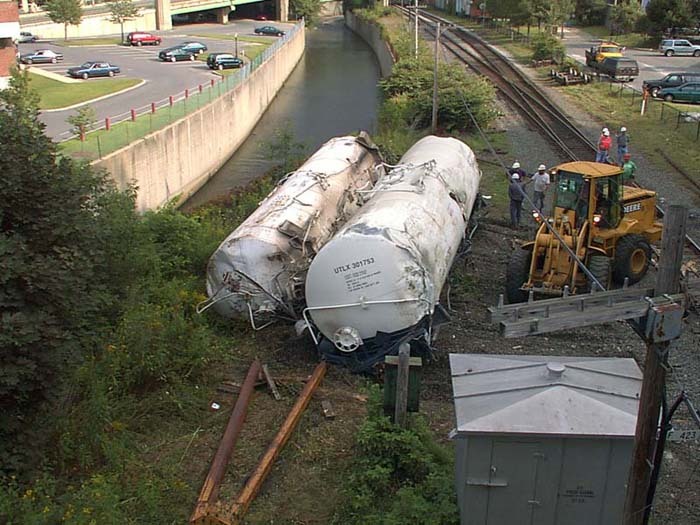 It is still undetermined though whether it was the track or the cars that caused the derailment. There was no damage inside the tunnel or to West Main Street. 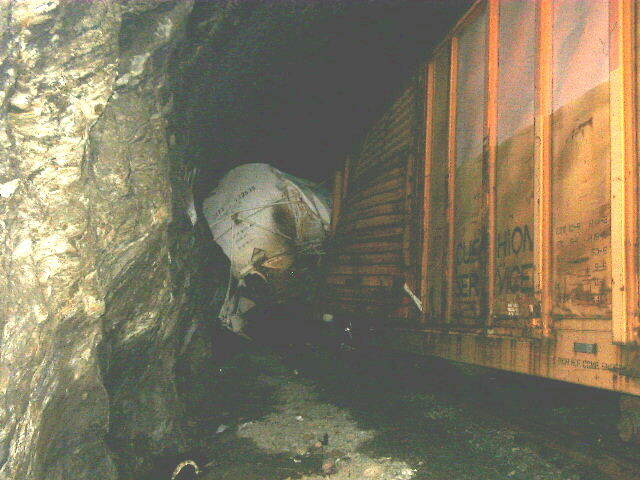 The first car, carrying wafer board, came to rest against a pillar inside the tunnel, but only caused the concrete to chip. After further investigation, it was found there was no permanent damage. The other cars involved in the crash were empty. The two engineers involved came out of the incident unharmed. 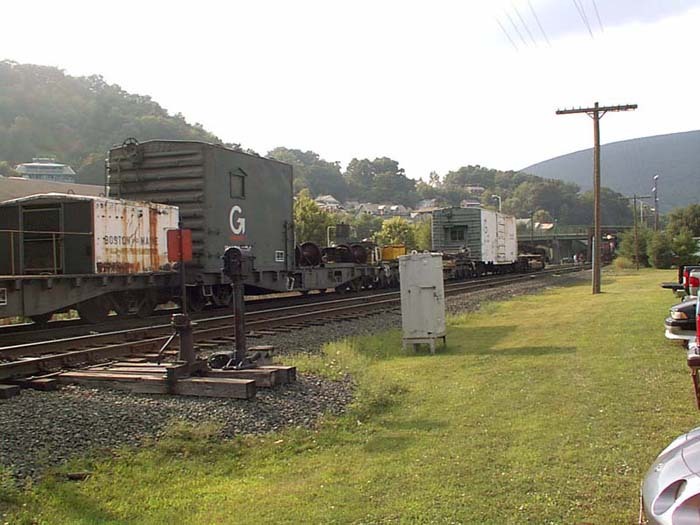 Half of the 33-car train was empty, but other cars carried such cargo as lumber, paper, limestone, and asbestos products. According to Police Commissioner John Morocco, there was some extremely low level radioactive dirt on board, but those cars were not involved in the crash.